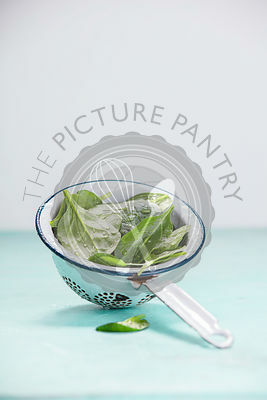 The Picture Pantry Food Stock Photo Library | Spinach. 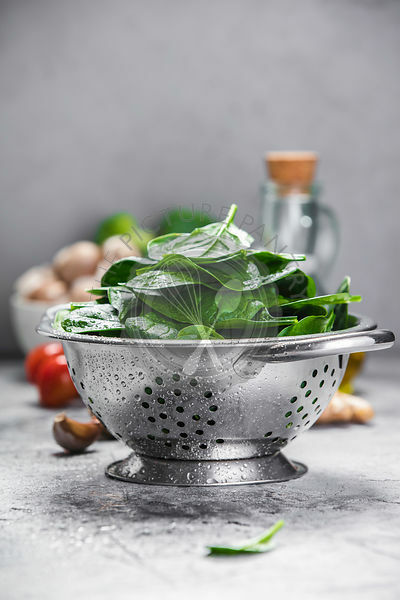 Fresh organic spinach leaves in metal colander and healthy ingredients. Diet, dieting concept. Vegan food, healthy eating. Spinach. 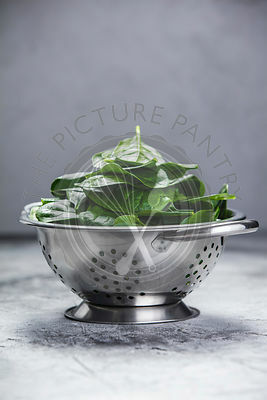 Fresh organic spinach leaves in metal colander and healthy ingredients. Diet, dieting concept. Vegan food, healthy eating.